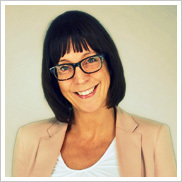 ABBT was founded by Annemarie Bult, a licensed translator/interpreter Dutch – English and experienced five-lingual credit collector. ABBT offers a comprehensive range of services that includes more than just a translation or interpreting job. ABBT builds bridges between cultures, will get to the crux of the matter and bring across an undisputed message, leaving no room for doubt. What may be obvious for a Dutchman may require more explanation for a Brit, while a marketing text that convinces an American to buy a product can have the opposite effect on a Dutchman. That is exactly why multilingual communication is more than just having a strong command of the languages. Extensive knowledge of the cultures involved is required if you want to deliver a good translation or interpreting job. Annemarie loves to get to know everything about the subject and your organization in order to get your message across, whether it concerns a website text translation, her assistance in discussions with business partners or recovering your cash. ABBT collaborates with a wide network of professionals and can deliver a complete multilingual set of translations. Having obtained her Master of Arts in interpreting from the HUBrussel, Annemarie Bult started working for multinationals. She set up customized debt collection processes for their international customers, streamline existing processes and stay in touch with their customers, making sure receivables were received on time and disputes were solved quickly and professionally. At the same time, she did interpreting and translation assignments for the government and businesses. ABBT has built up a very wide network. Take advantage of the experience of other specialists: native speakers who master the language and culture like no other; translators who can deliver translations in over 20 languages; and the best writers to write unique and catchy texts and slogans.